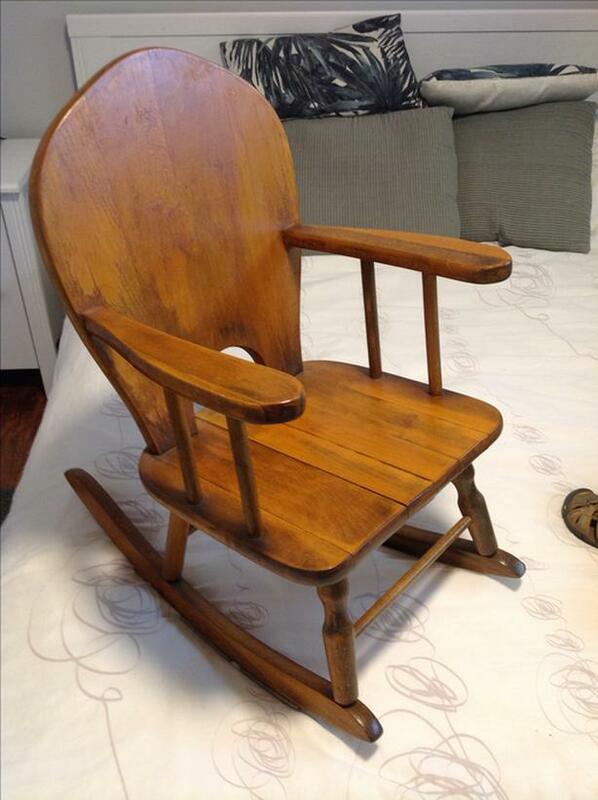 Solid wood child sized rocking chair. Very sturdy and rocks well. The bottom has been reinforced as you can see in the pictures. Would look great painted or with a cushion to match your decor. In colwood near royal roads.